By now we’ve all heard of the words “gnar” and “gains,” and we incorporate the word “swole” into everything from “Swoldier Nation” and “Swolemate” to flexing as we spell it out in our Alpha-Bits cereal. The best pre-workout is the one that requires an AED and “tastes like pure house music,” while the best post-workout meal is a pre-workout . . . to get you pumped for your post-workout workout. I’m speaking, of course, about Bro Science, the comedic lifting methodology led by YouTube character Dom Mazzetti and BroSciencelife.co. His sketches intentionally disregard exercise science and satirize some of the unfortunate but prevalent cultural “truisms” in the lifting and fitness industry. 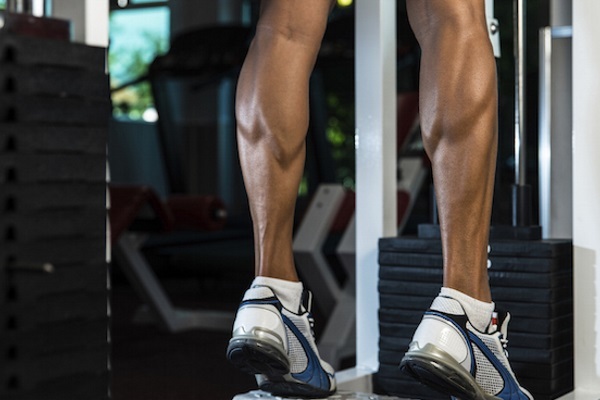 Why it’s wrong: Calf Raises are certainly beneficial for growing your calves if you are a bodybuilder or physique competitor, and they can take a more isolated approach after developing a sound foundation; but they may not be the best exercise for athletes. We are all familiar with the stiffness and pumped feeling associated with Calf Raise burnout. This can limit athletic mobility and fails to train the same triple extension pattern (hips, knees, ankles) prevalent in sprinting and most anaerobic sports. Why it’s wrong: When done in the right context, Weighted Pull-Ups are an excellent tool for improving functional pulling and grip strength. They also help develop your strength-to-mass ratio (SMR), which improves your lean functional mass for enhanced on-field performance. That said, there are situations where you can actually be “too strong for your own body.” We see this all the time in adolescent boys presenting with avulsion fractures. In this situation, the muscle contracts quickly with a force greater than the bones can handle, and the bony attachment at the origin or insertion of the muscle pulls away slightly. This is also common at the ASIS (hip flexor attachment site) of middle school to high school aged soccer players and football kickers, as the rectus femoris quickly contracts on impact with the ball. Why it’s wrong: Notice how you never hear someone say their splits are “bi’s and tri’s 7 days a week.” The fact is the body doesn’t recover fully overnight, and rest days are just as important as work days in your training program. Training the same body part every single day is like trying to use molten steel to build a skyscraper before allowing it to cool and harden. Although it’s an incredibly strong material, it is simply not functional in a weakened state. The best programs include a deloading period after the third or fourth week for exactly this reason. You don’t have to make each weekday a weak day by sitting on the couch and eating potato chips, but you can adjust your workload by lowering the total volume and addressing mobility. This will allow you to make dramatic progress during your next training week. Why it’s wrong: Fitness should be zero percent of either of these things. The Internet is a wonderful thing. It allows information to travel at record speeds and be shared across all platforms accessible to consumers. The problem is the quality of much of this information. Anyone who knows how to spell the word “g-y-m” can go onto Instagram and post a flexing picture with all kinds of filters enhancing their muscles, so they look like the Adonis of the fitness industry, convincing the general public that they are an expert in the field despite having little real-world experience and no education or certifications to back it. Why it’s wrong: Nothing sends you to the sideline faster than violent stretching and shoulder impingement. Ballistic stretching was tossed off the cliff of bad fitness gimmicks years ago, because it simply doesn’t make sense to rapidly stretch a cold muscle beyond its limits. Instead, consider dynamic stretching that acclimates the body to game speed in a progressive and functional format, or muscle activation and warm-up sets to prepare for heavier lifts. Why it’s wrong: Jerking into the weight is like sticking your tongue to a frozen lamp post and sprinting away at full speed. Take deadlifting, for example: You want to feel the weight of the bar before accelerating it upward, otherwise you sacrifice momentum, experience braking forces mid-lift and risk injury due to a jarring motion of the muscles, which can affect the back and posterior chain. This can be applied to most lifts in terms of injury risk, but another important fact is brought to mind: The purpose of weightlifting is to see results, and if you are relying on upward momentum for the majority of a lift, you are decreasing the total time under tension. You’d have to dramatically increase your time in the gym to adequately stimulate your sought after “gains.” By the time you reach this point, however, you will most likely have a concussion and/or a bilateral rotator cuff tear.